If you've ever woken up with dry, itchy, faking eyelids you've probably had blepharitis, an inflammation of the eyelids. Blepharitis may cause symptoms such as burning, tired eyes, or even blurred vision. Fortunately, simple eyelid scrubs (along with a few other techniques) can help to relieve the symptoms quickly. According to the Benign Essential Blepharospasm Research Foundation, "There are two major types of blepharitis: Anterior Lid Margin Disease (ALMD) and Posterior Lid Margin Disease (PLMD). ALMD is crusting on the eyelashes due to a superficial infection by any of a number of micro-organisms. ... PLMD is a problem with the glands within the eyelids producing an irregular, thick, oily and unstable tear film to cover the front of the eye." 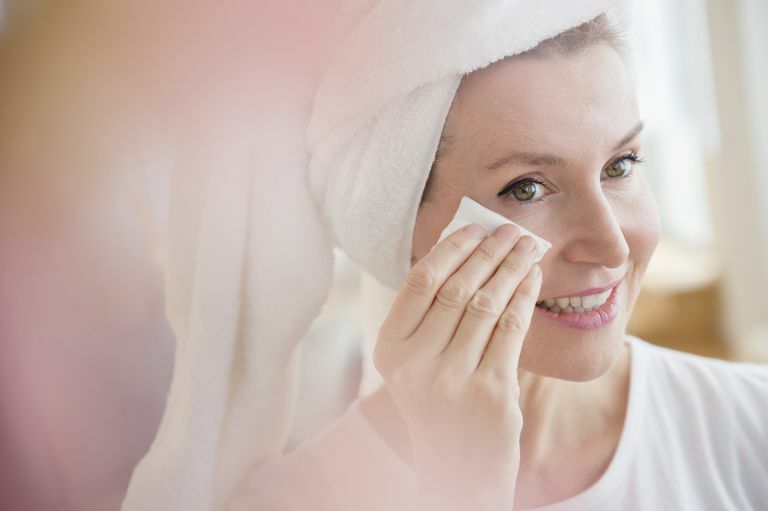 Hot compresses and eyelid massage can be helpful in treating the symptoms of blepharitis. In addition, supplemental flaxseed and/or fish oils can sometimes reduce blepharitis. Eyelid scrubs can be effective for relieving dry, itchy, flaking eyelids due to either ALMD or PLMD, though PLMD is more likely to return over time. Eyelid scrubs are exactly what they sound like: a process for removing material from the eyelids in order to treat blepharitis. Since they're inexpensive and easy to perform at home, eyelid scrubs are a great way to keep your eyelashes clean and alleviate symptoms. It's easy to find over-the-counter eyelid scrubs in pharmacies, and these can be very handy in the office or on the go. There's no reason, however, to purchase eyelid scrubs for in-home use: it's easy to make your own for a fraction of the cost. Soak a clean washcloth in warm water. Apply a small amount of baby shampoo to the washcloth. Carefully rinse your entire eyelid with clean, cool water. Repeat with your other eye, using a clean washcloth. Your eye doctor may recommend performing an eyelid scrub two or three times each day to help alleviate your symptoms. Some eye doctors may suggest an over-the-counter cleansing agent to use in place of baby shampoo. Always use a clean washcloth for each eye to avoid spreading germs or bacteria from one eye to the other. If you suffer from blepharitis, eyelid scrubs might become part of your daily eyelid hygiene routine. Sparker, Charles et al. Blepharitis. Benign Essential Blepharospasm Research Foundation (BEBRF). Web. 2016.